So you all by now know that I turned 1 today. I have one more giveaway lined up for you all. Yaay! You surely must have read my post on “Must have Sanitation essentials” and the amazing “Being Juliet subscription box” review. While the subscription box is a girls’ Romeo every month, the sanitation essentials are the need of the hour. So First Step Projects decided to make the sanitation essentials available to you all, by sponsoring a giveaway on my blog’s birthday. So they shall be giving away 3 hygiene kits which consists of a pack of 10 Peebuddy, 1 pack of intimate wipes, 1 pack of multi utility wipes and 1 pack of 1 love clean disposal bags. So enter the Rafflecopter below to make your entries count. Giveaway will be open for entries till the end of this month i.e. 31st December 2015. The products shall be directly shipped by First Step Projects to the winners after the results are declared. I know you all have been eagerly waiting for the results of my #FirstGiveaway sponsored by Plum. I went through each one of the comments and loved them and I assure you, I would personally try them. However unfortunately, since I could choose only 3 of you as winners, I had to do the tough job of picking up the best 3 winners. Situation – too glossy red lips & a spontaneous meeting with high level execs. Hack – Dab some talcum powder with a tissue on your lips & tada, matte red shade in a jiffy! You have won for yourself the Plum Choco Latte Creamy Body Wash. Now you can walk into any meeting with a beautiful smelling body. You have won the Plum Angel Eyes Kohl Kajal. Now go around flaunting your beautiful eyes on that pimple free face. 3. Archana G-My beauty hack is every day while having green tea I just take a spoonful and apply on my face and neck. It helps to soothe sunburns and has anti-aging benefits. You have won the Plum Grape Seed & Sea Buckthorn Mild foam Scrub. 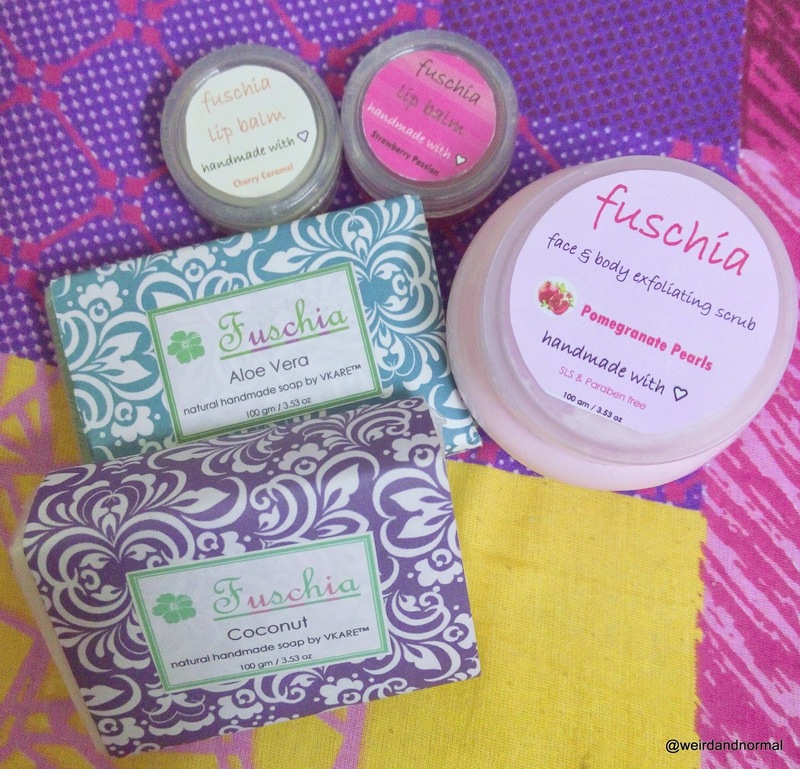 I am sure this scrub will be the perfect companion to soothe the dry skin too on your body and your neck. I bet you all would agree with the winning entries. Congrats to the winners. Winners please email me your details to clementia1991@gmail.com, do mention the subject of the email as #FirstGiveaway sponsored by Plum Winner. For those who didn’t, don’t be disheartened, we surely have more giveaways lined up in future. Congrats once again to the winners, enjoy your Plum Goodies.